Today we celebrate Yusuf’s birthday and the announcement of his highly anticipated studio album, The Laughing Apple, available everywhere September 15th. The album will be released under Yusuf / Cat Stevens’ Cat-O-Log Records imprint exclusively through Decca Records, the same label that launched his career 50 years ago. 8. You Can Do (Whatever)! 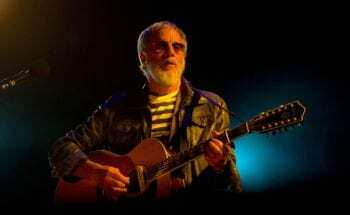 The Laughing Apple features newly written songs and re-recordings of some of Yusuf’s early material, allowing him to present the songs as he’s always wished they’d been recorded. Yusuf produced The Laughing Apple with Paul Samwell-Smith, the original producer behind Yusuf’s landmark recordings, including Tea for the Tillerman and Teaser and the Firecat.